The news this week is that more than 500,000 Syrian refugees have been registered by the UN refugee agency (UNHCR) in the region, and the numbers are climbing by more than 3,000 per week as the conflict escaltes. 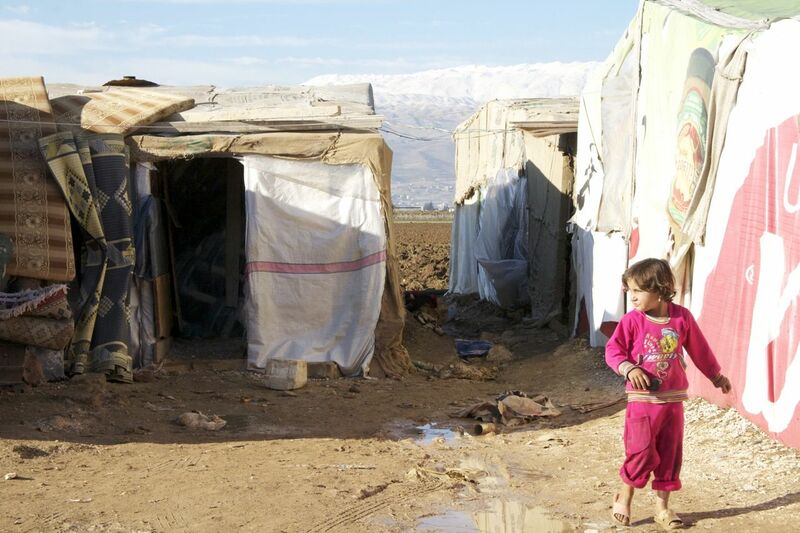 Lebanon is the smallest of Syria’s neighbouring countries and bears one of the greatest burdens. There are 154,000 refugees are formerly registered or waiting for registration there. According to Kamal Sioufi, board member of Caritas Lebanon Migrant Centre this brings a heavy burden on the Lebanese society. “We have a history of conflict and of refugees coming to our country,” he said. “Lebanon already hosts a large numbers of Palestinians and to lesser extend Iraqi refugees. If the number of Syrian refugees keeps rising and if this situation will again last for years, we fear instability”. The refugees face a hard winter. For two weeks there has been snow on the mountain tops surrounding the Bekaa valley. Many refugees live in tents normally used by migrant labour workers who earn a living in this agricultural region. In summer, its only males who do the work, sending their savings to their families back home. Now these tents are inhabited by women and children as well, and the temperature is dropping to below 10 C already. The refugees depend largely on aid being given by UNHCR, private initiatives, and aid agencies like Caritas. Caritas Lebanon works through different centres throughout the country, delivering food parcels, hygiene kits and blankets to refugee families. There is also medical assistance through mobile clinics and health centres. The huge numbers of refugees coming into the country puts enormous pressure on the organisation. In the city of Saïda for example, 70 to 80 families come to the Caritas office daily for registration. Because of this huge number, home visits by the social workers can only be done on Saturdays.